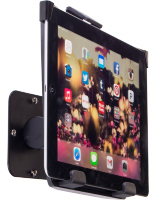 This Apple® device, anti-theft iPad wall arm, allows users to take advantage of a tablet’s capabilities in a whole new way. 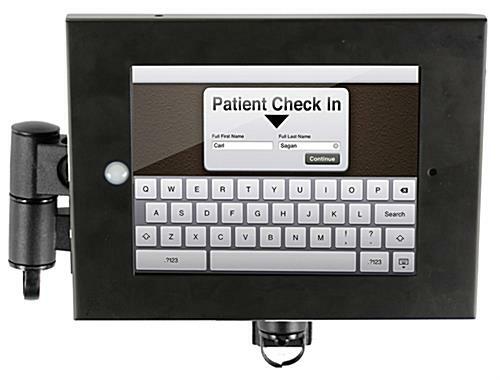 Each touchscreen kiosk locks the device into the holder, preventing theft or improper usage. 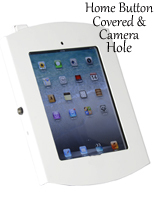 The iPad wall arm easily bolts to a wall using pre-drilled holes on the base of the device, and the included hardware. The height of the extension is easily adjustable to suit all users, with a full range of motion. 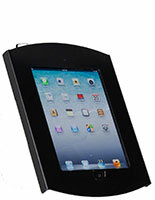 This mountable iPad wall arm, also known as a touchscreen device stand, extends both right and left. 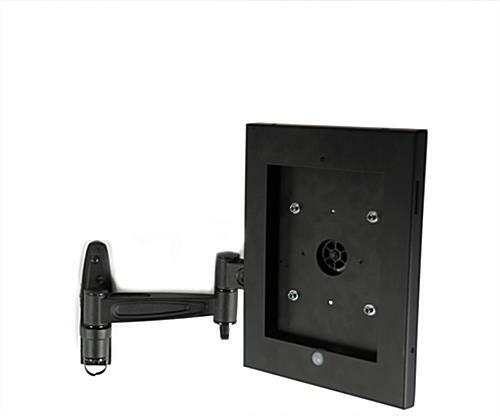 The iPad wall arm that is made of steel and aluminum has a black powder-coated finish to coordinate with most decors. An anti-theft structured mounting case for Generations 2, 3, and 4 allows users in hotel lobbies, retail stores, libraries, cafeterias, and other commercial venues to access information on their own. 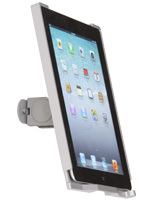 The iPad wall arm protects the mobile device from inappropriate usage while being used. 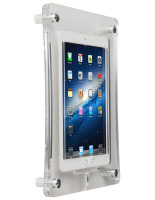 By simply following the easy-to-use instructions, a tablet can be quickly locked into the case. 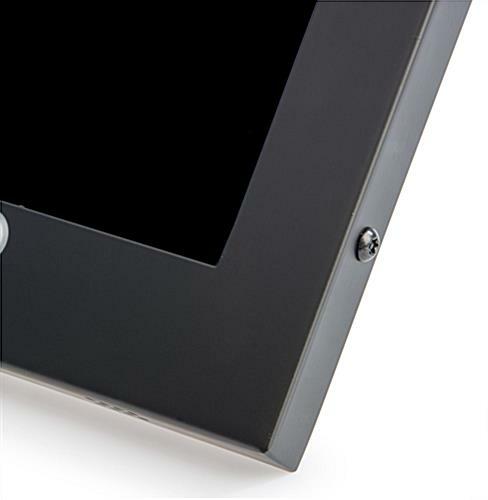 This secure touchscreen kiosk, iPad wall arm that is theft-proof, includes a home screen button protector to disable usage if desired. This feature allows users to only access the mobile device as the business chooses, ensuring years of maximum functionality. 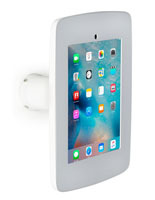 The iPad wall arm that fits various tablets opens quickly, for quick and full access to your device. Once locked, however, the steel and aluminum construction of the kiosk prevent outside tampering and damage. 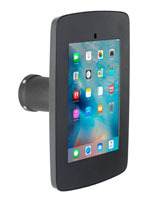 An Apple® device, iPad wall arm allows customers to utilize the touchscreen device in many ways, such as viewing products available on a website, browsing pictures in a portfolio, or comparing and contrasting the features of two side-by-side products with ease. This versatile business tool will both impress users and propel business capabilities.